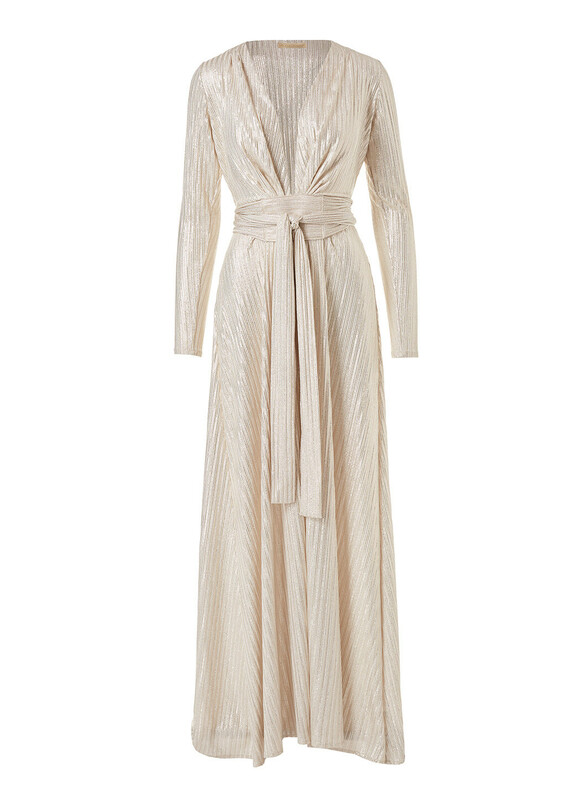 Crafted from liquid gold textured fabric, with enchanting light-catching qualities the Deep V Belted Maxi Dress is perfect from transporting you from elegant gala to star-lit dancefloor. 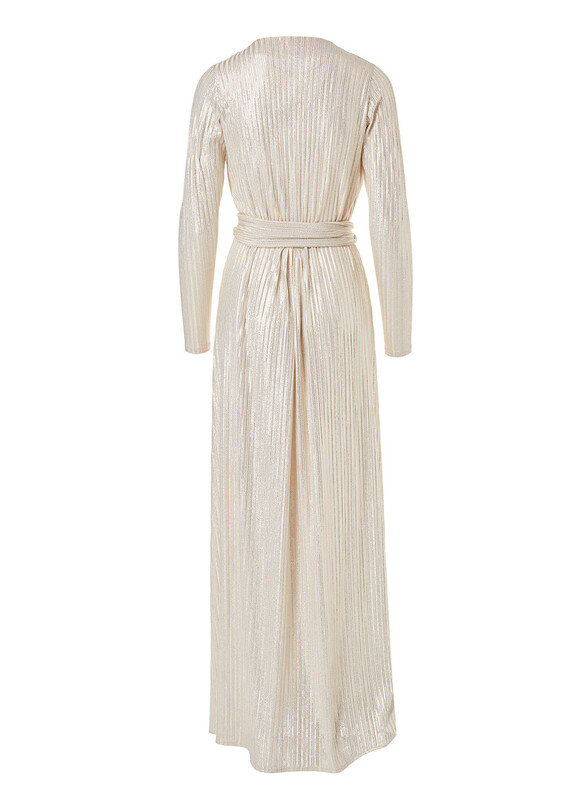 The floor-length dress skims down the body from the belted waist, the long sleeves, plunging neckline further allude to a svelte silhouette. 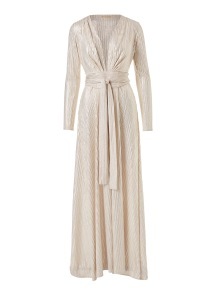 An eveningwear investment fro, Melissa Odabash's Anniversary Collection.